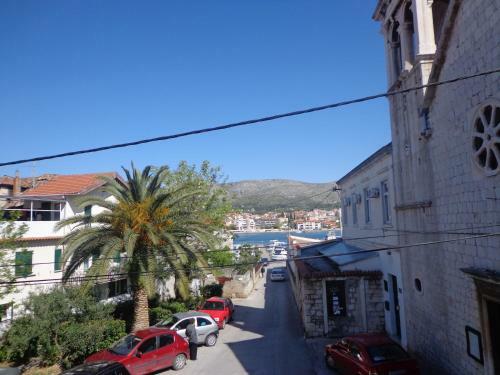 This apartment in Trogir is just a 3-minute walk from the beach and a 5-minute walk from the city centre. It includes a seating area with TV and a well-equipped kitchen with a dining table. Apartment Franka is 400 metres from the Trogir Green Market and St. It is 500 metres from Trogir Harbour and 4 km from Split Flight terminal. Apartment Trogir Proto ~0,1 km, Trogir Please inform Bed and breakfast Trogir Proto in advance of your expected arrival time. You can use the Special Requests box when booking, or contact the property directly with the contact details provided in your confirmation. 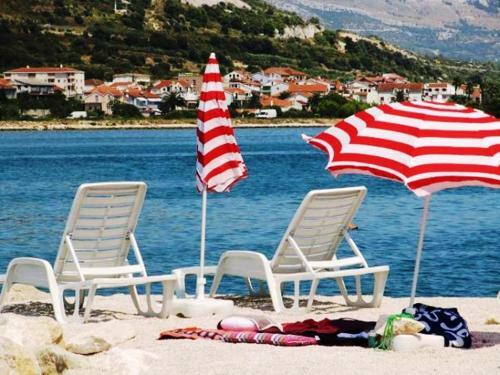 Beach Pantan, Trogir ~ 0,6 km from Apartment Franka Sandy beach: ideal for families, with caffe bar, equipped with showers. 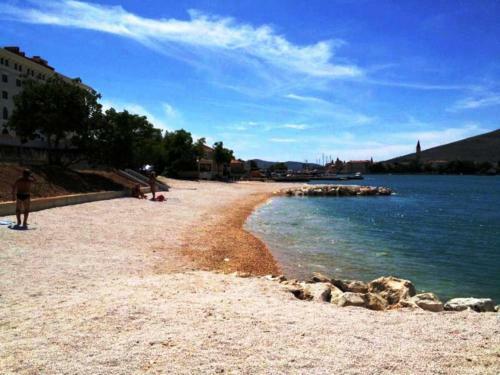 Beach Mavarstica, Okrug Gornji ~ 2,8 km from Apartment Franka Sandy beach: ideal for families, recommended for young people. Beach Medena, Seget Donji ~ 2,8 km from Apartment Franka Gravel beach: ideal for families, recommended for young people, with restaurant, with caffe bar. Excellent choice of watersports. Beach Okrug Gornji, Ciovo ~ 3,3 km from Apartment Franka Sandy beach: ideal for families, recommended for young people, with restaurant, with caffe bar, equipped with showers. Excellent choice of watersports. Beach Kava, Slatine ~ 9,9 km from Apartment Franka Gravel beach: ideal for families, with restaurant, with caffe bar. Restaurant Sv Dominik, Trogir Guest reviews: 9,2/10 ~ 2,5 km from Apartment Franka Address: Blazenog Augustina Kazotica 1, 21220, Trogir. Cuisine: Croatian cuisine. Restaurant Mediteraneo, Trogir Guest reviews: 8,5/10 ~ 0,5 km from Apartment Franka Address: Ulica Kralja Tomislava 70, Trogir. Cuisine: Croatian cuisine. 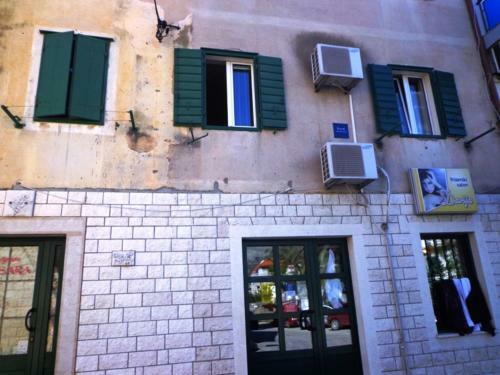 Restaurant Kristian Pizza, Trogir Guest reviews: 9,1/10 ~ 2,4 km from Apartment Franka Address: Bl. Augustina Kazotica 6a, Trogir. Cuisine: Pizza. Restaurant Piccolo Ponte, Trogir Guest reviews: 10/10 ~ 2,1 km from Apartment Franka Address: Vukovarska 9, 21220, Trogir. Cuisine: Pizza & Pasta, Grill. Restaurant Kamerlengo, Trogir Guest reviews: 7,6/10 ~ 2,1 km from Apartment Franka Address: Vukovarska 2, 21220, Trogir. Prices: 6 HRK - 6 HRK. Cuisine: Croatian cuisine.